The city of Toluca, capital of the State of Mexico, boasts one of the largest collections of museums in a single city throughout Mexico. There are so many choices, that it’s good to narrow down the best and brightest. Here’s our pick of the most worthwhile stops to help you make the most of your trip. The Fine Arts Museum of Toluca is was built inside the former convent La Purísima Concepción de los Carmelitas Descalzos de la Nueva España in 1945. The building’s incredible colonial architecture and design makes any visit worthwhile even if religious art isn’t your thing. The museum has a collection of pieces that date from the 16th to the late 19th century; one of its most interesting is a 16-panel pyramid-shaped funeral tumulus (a type of support for a casket or body) decorated with images related to death and inscribed with poems and sonnets. If watercolors are your jam, pay a visit to Toluca’s Watercolor Museum. The museum features the work of artists, Mexican by birth or by adoption, including Pastor Velásquez, Vicente Mendiola, Edgardo Coghlan, Ignacio Barrios and Ángel Mauro. In addition to the museum’s highly-prized collection, they also have a gallery of watercolors for sale and host drawing and watercolor painting classes on site in their 17th-century house-museum. This museum is considered one of the best of its kind in the country and is a coveted place for artists to show their work. 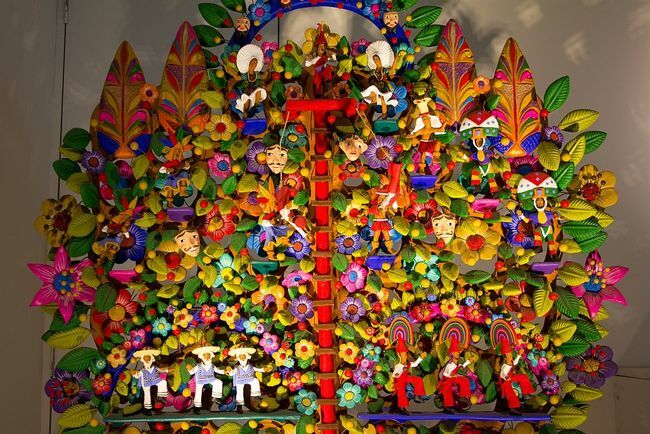 Toluca’s Popular Cultures Museum is dedicated to the area’s arts and crafts tradition and the artisans that create them. Textiles, toys, papier maché, seed mosaics and other folk art is displayed in the museum’s various exhibition rooms. There are dedicated spaces for a mock-up of an old-fashioned pulquería (a bar serving Mexico’s first beer – Pulque), a room dedicated to regional sweets, an exhibit on local cuisine, and a display devoted to the horse-riding, cowboy hollerin’, charrería dancin’ side of Mexico’s countryside. Set inside two dramatic towers built to celebrate 200 years of Mexican independence, the Bicentennial Towers Museum houses an art and object collection in four stages, telling the story of Mexican life from Independence to today. The exhibits are multi-faceted and multi-media, and house various special relics – including the bars to the jail cell of famous female Independence instigator Leona Camila Vicario. As with the Bellas Artes museum, the architecture is worth it even if you just want to stand outside and gape up. The Cosmovitral (a combination of the words ‘cosmos’ and ‘vitral‘ (‘glass’ in Spanish)) is one of Toluca’s greatest public art projects. This building that formerly housed a local city market was converted into a botanical garden and stain-glass mural display in the 1970s – the artist, Leopoldo Flores, envisioned the mural as a representation of man and his place in the universe. Intricate and colorful stained-glass windows cover the top two-thirds of the building’s space, while its floorspace is dominated by over 500 endemic species of Mexican flora. A visit to Cosmovitral is particularly interesting on the day of the summer solstice when light floods one of the main sections of the mural and events are held to celebrate the coming of the new season. An engaging history museum can be hard to come by, but the Museum of History and Anthropology of Toluca does a nice job of taking visitors through the various stages of life in the area, from pre-historic man, his habits and movements, all the way to the modern day State of Mexico and its most recent historical figures. Along the way you will find colonial artefacts, native plants and animals, and the ceramics and folk art of the state’s various indigenous ancestors. Two of the museums most important pieces are the Ehécatl o God of the Wind, a sculpture discovered at the Calixtlahuaca archaeological site, and the Tlapanhuéhuetl, a ceremonial drum made from tepehuaje wood found in Malinalco. You can find lithographs, etchings, even contemporary graffiti at Toluca’s Print Museum. 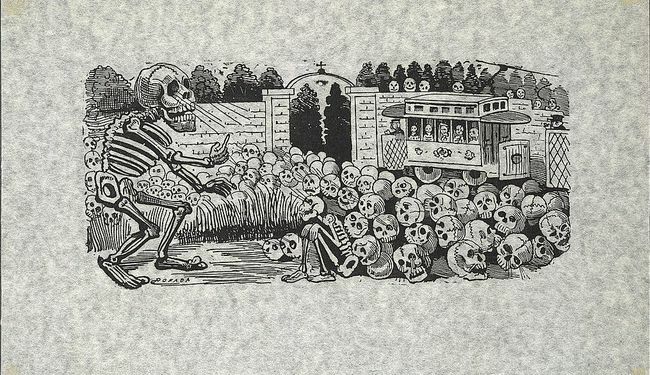 Their collection houses work from both Mexican and international artists, including some of the greatest engravers and print makers in Mexican history like José Guadalupe Posada, Manuel Manila, Carlos Alvarado Lang, Gabriel Fernández Ledesma, Mariano Paredes, Alfredo Zalce, Rufino Tamayo, José Luis Cuevas, Francisco Toledo, and Luis Nishizawa. Want to try out your hand at engraving? The museum offers workshops to the public! 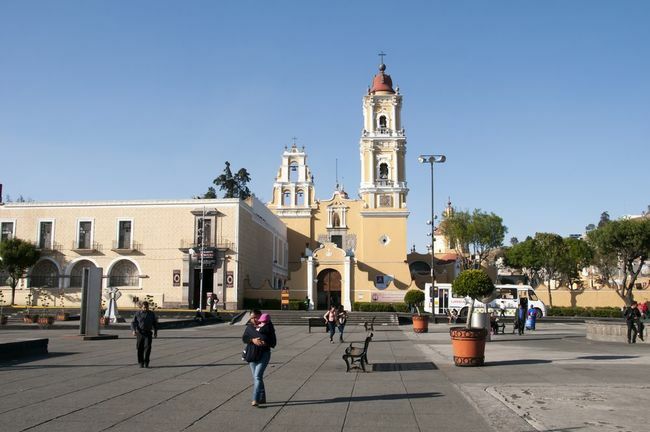 Toluca has three museums just around the corner from each other dedicated to three very important Mexican artists. Luis Nishizawa was a Japanese-Mexican master of landscapes and murals, displaying his unique bi-cultural personality on the canvas, while José María Velasco was a world-renowned Mexican landscape artist who lived and painted at the end of the 19th and beginning of the 20th centuries, famous for his painting El Valle de México. Finally, the Felipe Santiago Gutiérrez museum is a collection of 225 works by this beloved Mexican artist that represent the various stages of the artist’s life.